Scenes from Saturday – for my friend Alicia, originally uploaded by Tink*~*~*. We did a few things in stroller hell – y’all know it as Fantasyland – before making our way out of the park for dinner. 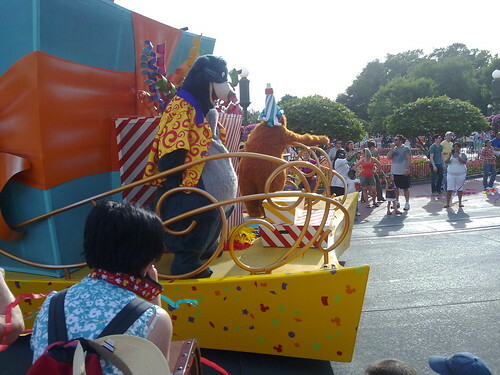 Caught the parade on the way out and saw Baloo! oK that’s all for now – gonna hit the shower now and meet the family. I think today is an MGM oops I mean Hollywood Studios day. See ya real soon! What a coincidence…I was just listening to “Bare Necessities”! Thanks Tink!!! I love me some Baloo!!! Mari you weren’t thinking of me?!?!?!? Weellll harumph!!! =0P…LOLOLOLOL! !